For years, Amazon has been the one-stop-shop for almost every kind of brand or product that you need. But in the last few years, Amazon itself has started to create its own products to sell alongside others. 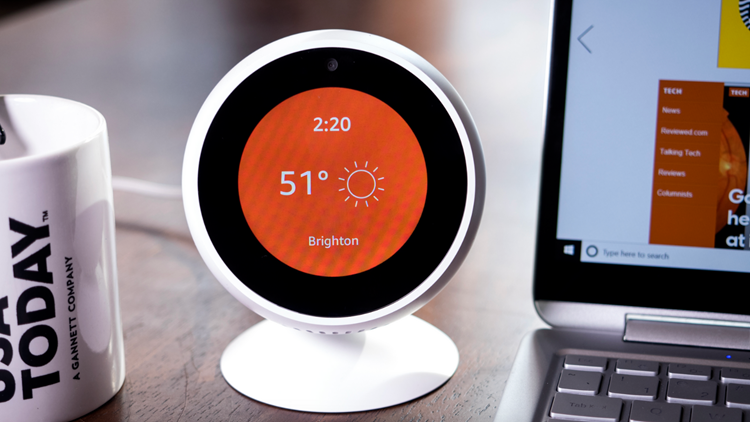 And with the huge popularity of smart home and other devices, Amazon has provided its own competition that rivals other brands such as Google, Roku and more. The products are aplenty and we at Reviewed have personally tested many of these devices to inform you on which one you should buy. 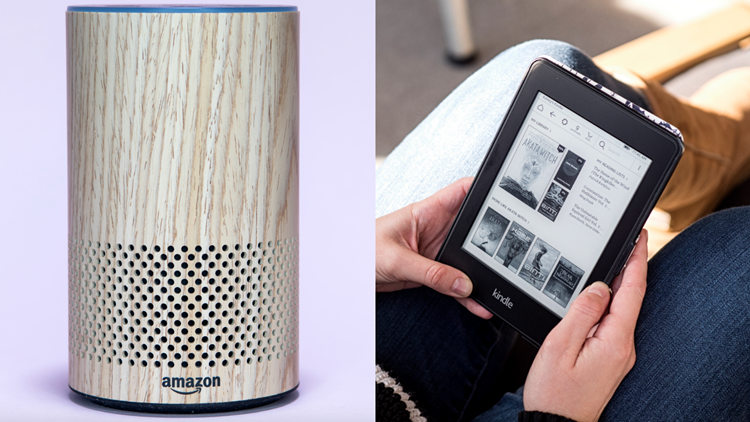 So if you’re going to that one-stop-shop, here are the best devices in smart home, streaming, reading, tablets and security that Amazon has to offer. The Amazon Echo is far and away the best smart home device for anyone looking to bring an Alexa-enabled smart speaker into their homes. It's got great sound quality thanks to Dolby audio, a 2.5-inch woofer, and a 0.6-inch tweeter. And it has an auxiliary input and Bluetooth if you want to connect it to a larger speaker. 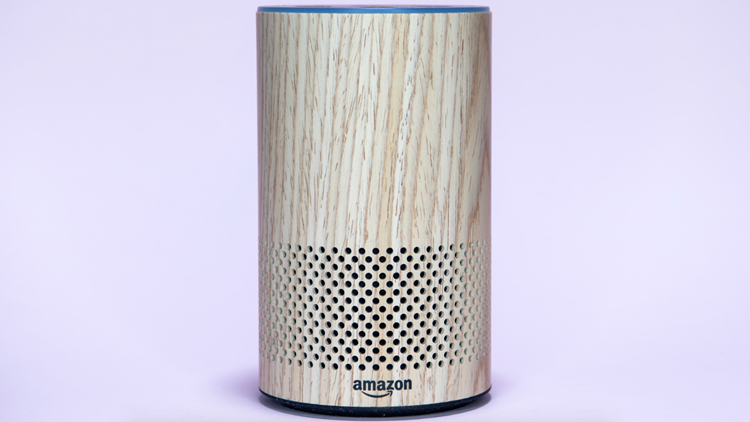 The Echo also uses far-field voice recognition so Alexa can hear you even if you're in the next room. 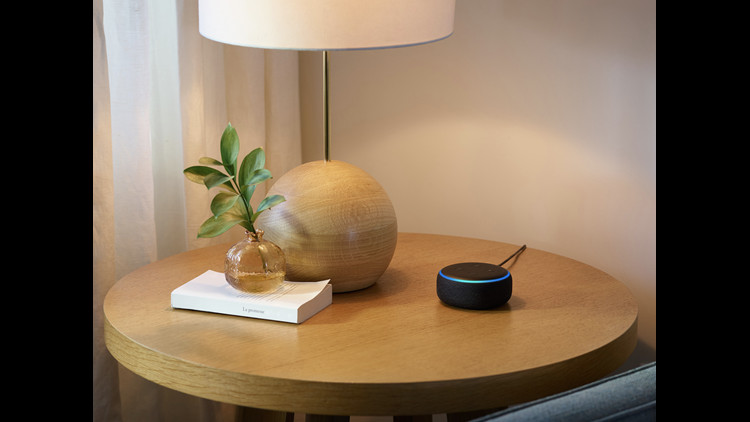 Every Echo device has access to the same Alexa skills and features, but we found the second-generation Echo offers the best blend of quality performance and value. It costs twice as much as the Echo Dot, but it sounds 10 times better. It doesn't act as a hub for devices that require their own bridge like the Echo Plus, but it costs $50 less. And it may not have a screen like the Spot or the Show, but you really don't need a display or a camera to fully enjoy Alexa. The combination of the small but super useful screen with a sleek, modern design makes the Amazon Echo Spot look just as at home on a bedside table as it does on a home office desk, a living room shelf, or a kitchen counter. The screen displays a customizable clock, but also cycles through useful information to give you insights at a glance. Considering the Spot has a modest 1.4-inch speaker, the sound quality is not half bad for such a small device. It also gives you the ability to make video calls, which are surprisingly perfect with a round screen. You can also check in on video feeds from smart cameras, video baby monitors, and video doorbells. And it can stream TV and movie content, though it's not really designed as a media streaming device. The Echo Dot is the perfect entry-level smart speaker. It gives you access to all the standard Alexa features at half the cost of the Echo. But with the price break, you do have to sacrifice sound quality. The speaker is a meager 0.6 inches, less than half as powerful as the Spot's and well below the quality of the larger Echoes. However, there's an AUX input on the back and Bluetooth connectivity, so you can easily connect it to any existing speaker for a boost in sound quality. Amazon recently released its new Fire Stick with 4K, Dolby and HDR and has an all-new Alexa voice remote that controls a number of different features. Though we haven't tested it, it's an enhanced and up-to-date version of the old Fire Stick and is cheaper too. You can still also stream all your favorite shows, movies and other content just like on the Fire TV, watch live TV, access Amazon Prime and much more. 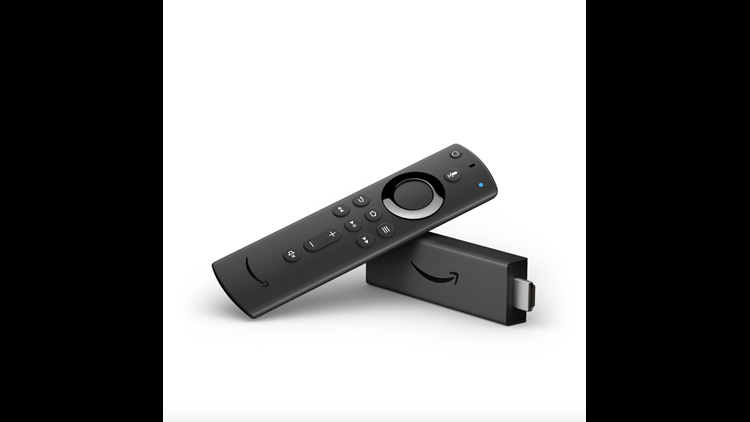 For a lower price, you can also get the standard Amazon Fire TV Stick for $24.99, which has many of the same features, but is a tad slower and has fewer output resolutions. 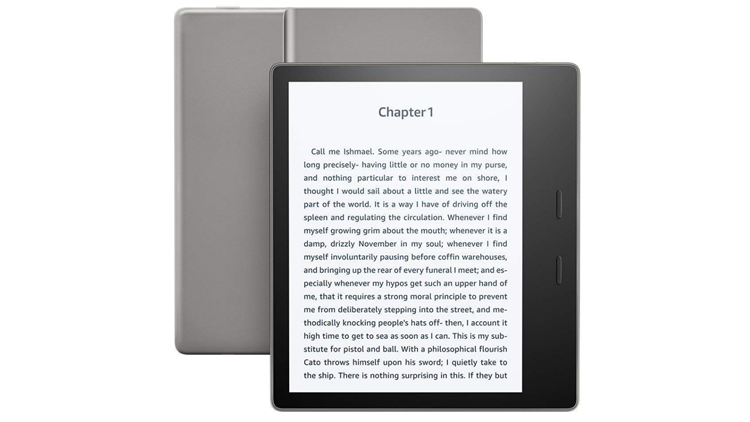 With its 300 pixels-per-inch touchscreen display, adjustable backlight, and excellent battery life, the Kindle Paperwhite is the best bang for your buck. The price tag is super reasonable, too, with an MSRP of $120 and a sale price that typically hovers around $90. 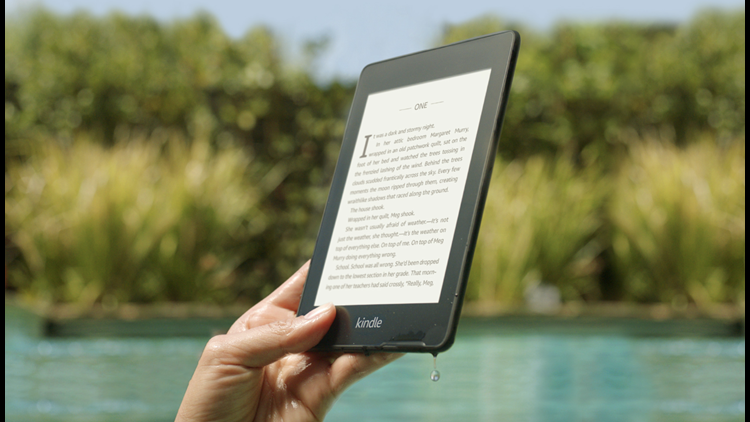 It doesn't have all the bells and whistles of Amazon's most premium e-readers, but it gets the job done. The bezels are great to give hands a natural place to rest, while the device itself lasts about three weeks on a single charge and on the newest edition of the Paperwhite has a flush front, which is an upgrade from earlier versions. With its all-metal body, physical page turn buttons, and narrow bezels, the high-end Kindle Oasis is a thing of beauty. The wedge-like design makes one-handed reading super easy, which is perfect for commuters, and the backlight automatically changes depending on the ambient light. It also works with Audible books, but you can only listen to them with Bluetooth headphones or a speaker, as there's no headphone jack. While the Oasis has a lot going for it, it'll burn a hole in your wallet. So, unless you're working with a flexible budget, the $250 price tag is a tough pill to swallow. There’s also no built-in speaker or a headphone jack. Water-resistances is great if you spill coffee on it as well. We have not yet tested the Fire 7, but judging by its 3.9-of-5-star rating on Amazon after over 40,000 reviews plus a can’t-miss price, we think it’d be a great addition if you’re looking for a tablet. The 8GB version comes in at just under $50, while the 16GB is around $70 and they are both Alexa enabled. You can also stream all of your favorite movies, songs, shows and more with apps for each major streaming site and can download them as well. Lastly, It’s thinner and more durable than the last version, while the battery is also improved to last up to eight hours with a full charge. 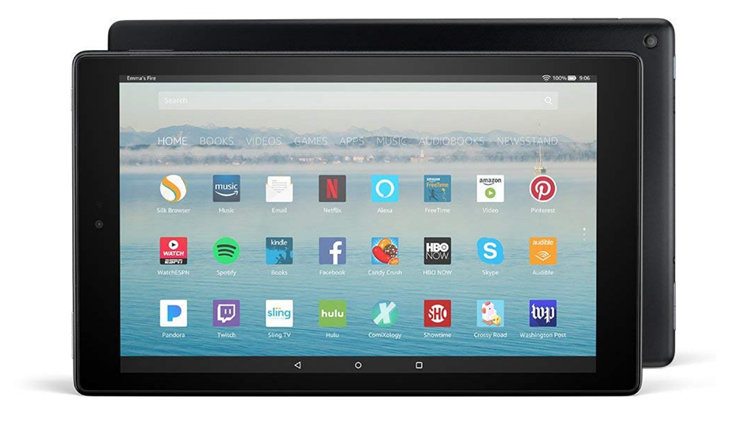 Again, we haven’t tested the Fire HD 10, but it is clearly a step up from the Fire 7 with 2 million pixels, stereo speakers, Dolby audio and more, providing full, widescreen HD entertainment. One other difference is hands-free calling, Alexa and more, which allows you to video chat others without touching the device. Those features obviously come with a step up in price, and a rather large one at that, but it also has 10 hours of battery life, a better display and much more storage. 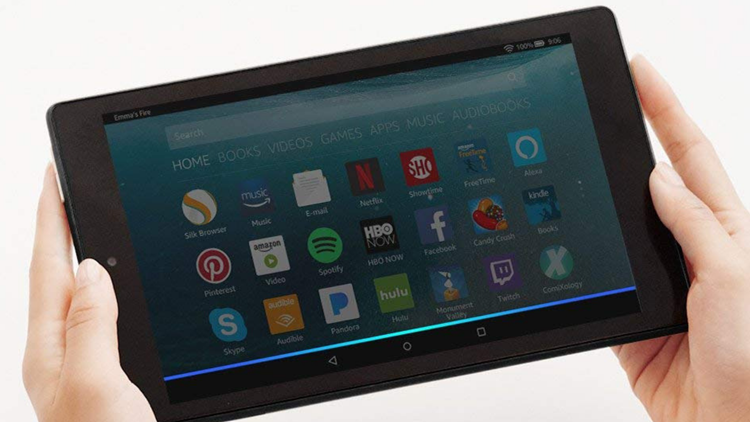 It has the same streaming features and Amazon Prime members get access to millions of movies, shows, books, songs, magazines and more just like on the Fire 7. Amazon has gone above and beyond to make sure the Fire Tablet for Kids has everything parents and kids could be looking for. It has a kid-proof case to protect against drops and bumps and whatever else a kid might do. The parental controls are robust and let you control your child's screen time. You can set daily limits, or even set educational goals that will block access to games and cartoons until your kid spends some time learning new things. You'll also get 1 year of Amazon FreeTime Unlimited when you buy the tablet. (After that it's $2.99 a month for a single child if you're a Prime member.) It's a subscription for kids (ages 3-12) with thousands of kid-friendly books, movies, TV shows, educational apps, and games. But far and away, the best feature that's unique to the Fire Tablet for Kids is the 2-year worry-free guarantee. Doesn't matter if your kids are destructive, messy, or both. If the tablet breaks, Amazon will replace it for free—no questions asked. Ideally, you'll never need the replacement, but let's be real—it's good to have. 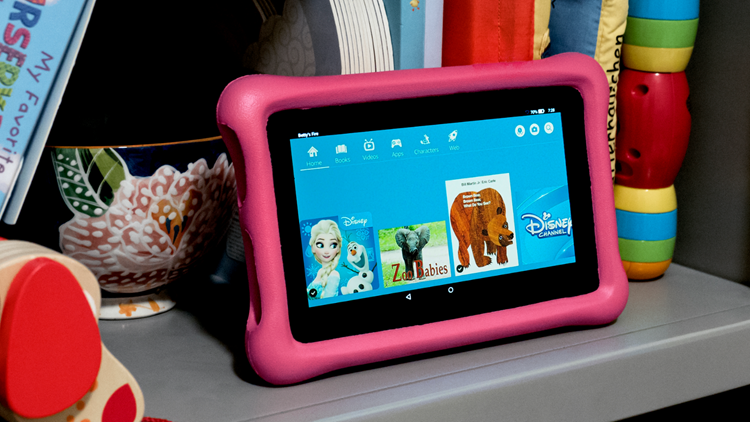 Add it all up, and the Fire is easily the best tablet for your kids. 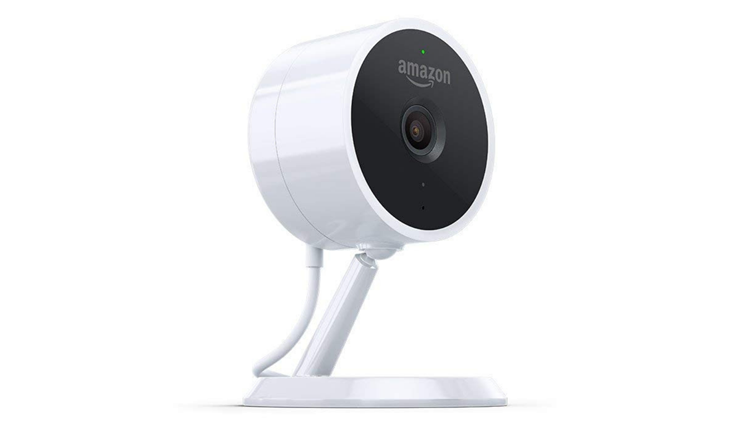 Amazon’s Cloud Cam starts streaming very quickly, but even in 1080p, the video doesn’t look as good as some other cams out there (https://www.reviewed.com/smarthome/best-right-now/the-best-smart-indoor-security-cameras). The app makes it easy to dial in the right amount of notifications, and it can automatically shut off the camera when you're home and turn it back on when you leave. Setup is a snap too. Unfortunately, the two-way audio feature was glitchy in the iOS app, although it worked well on the Android side. The $7/month fee is on the higher side, but it comes with extra features like person detection and motion zones.